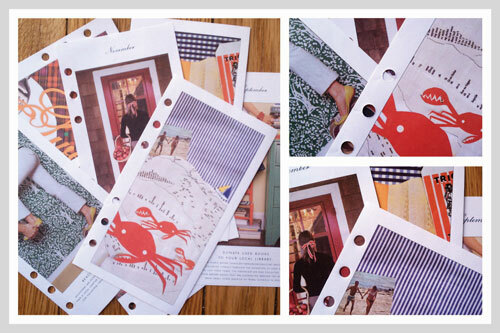 I keep a collection of kate spade calendar inserts for inspiration. The patterns and colors are so eye-catching, especially the green wallpaper on the inserts below. And the crab cut-outs always make me smile as they appear to be crawling off the page.